Enter Your Email Below And We’ll Send Cutting Edge Drills and Workouts Right To Your Inbox! Your books made my coaching experience more efficient, allowing me to concentrate more on the athletes and less on designing a practice for each day! Since 2008, TrackPracticePlans.com has been the premier online publisher of drills, workouts and practice plans. Our mission is to help youth and high school track and field coaches engage their athletes in practice, improve their fundamentals, and achieve record-setting performances. In the last 10 years, we've helped more than 100,000 coaches run better practices. No matter what age or competitive level you coach, or what event you need help with, our easy-to-use resources are guaranteed to help you save time, eliminate stress, and help your athletes reach new personal bests. Engage your athletes. Improve their skills. Achieve new personal bests! 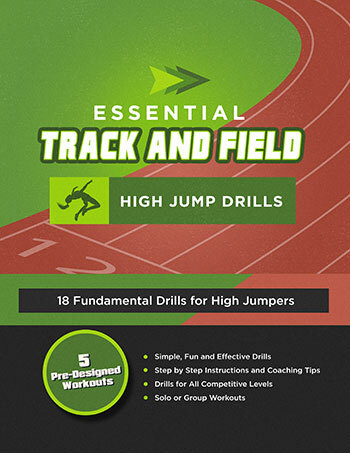 Discover 40 fundamental drills covering every track and field event: sprints, relays, hurdles, middle distance, long distance, high jump, long jump, triple jump, pole vault, discus, shot put and javelin. All organized into printable workout plans that will save you hours of prep time. Get instant access right over your computer, tablet or smartphone today!